The results of the analysis of injury and accidents in operating cargo cranes on the basis of: collection of information on accidents, incidents and problem analysis; structuring of accidents, accidents. Causes of increased accidents and injuries are: the low level of technical readiness of facilities for safe operation due to their considerable physical and mental ageing; the unsatisfactory level of organization and functioning of the system of ex-operation, maintenance and repair of equipment in enterprises; reduced liability of managers of enterprises to ensure safety of hazardous production facilities; a lack of professional qualification, low and extremely low discipline of engineering and operating staff; the imperfection of devices and security devices; lack of automation of operations, forced to find operator in hazardous areas; lack of knowledge about the dangerous technological processes, safety performance substances used in the manufacture, incomplete design solutions that ensure safety. Keywords: load-lifting cranes, accidents, failures. Krasnich B.A., Gontarenko A.F., Klovach E.V., Sidorov V.I. 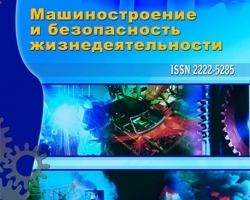 Education and training in the field of industrial safety // Safety in Industry, 2000, № 12. – P. 4-7. Kotelnikov V.S., Nevzorov L.A. Quality technical examination of cranes – the key to trouble-free operation // Safety in Industry, 2001, № 10. – P. 2-5. Annual report on the activities of the Federal Service for Environmental, Technological and Nuclear Supervision in 2010. – M: STC «Industrial safety», 2011.